A webcomic about pirates is always going to be interesting, but this one is very unique. The comics duo Tristan Roulot and Patrick Hénaff brings an amazing tale of a band of misfits racing to find their father's hidden treasures. "Captain Alexander Crown is dead, murdered in his own cabin. In his will, Crown has entrusted Red, his chief officer, the care of reuniting his five children, born from the seeds of an adventurous life spent traveling the Caribbean Sea. A great inheritance awaits them, but the task is difficult: they are uncontrollable, dangerous, and hate each other... As much as they hated the father who ruined their lives." Intrigued? Here are some of Captain Crown's children introduced below! The webcomic absolutely dazzles the reader with brilliant illustration from Patrick Hénaff and great storytelling from Tristan Roulot. The comic duo delivers an action-packed pirate adventure filled with interesting characters and drama. 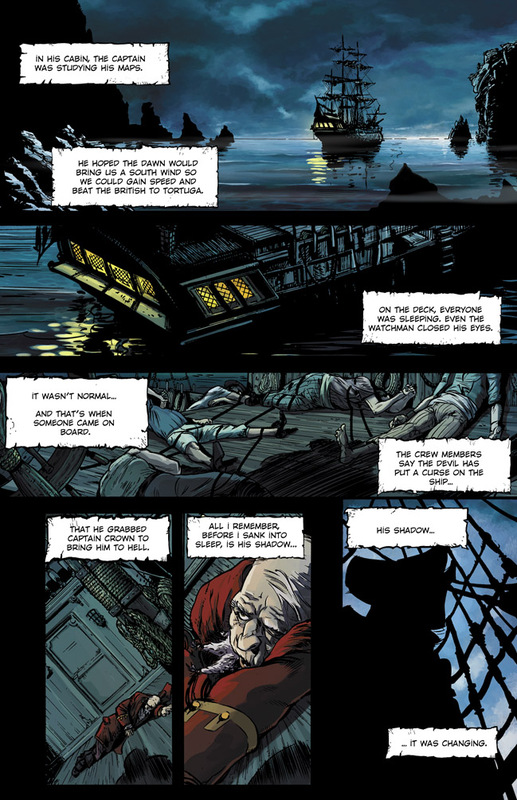 If you're a fan of the pirate genre (or if you've seen any of the Pirates of the Carribean films), you HAVE to check this comic out!